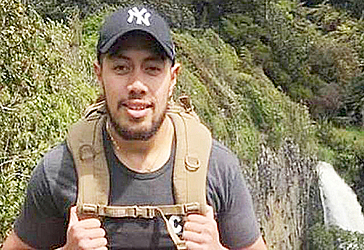 An inquest into the death of a New Zealand Navy sailor, Kilino Joseph Lemafo'e Tua, 24, who went missing last year while visiting his family in Samoa started yesterday. Tua was last seen at the To Sua trench. Up until now, no one knows how he disappeared. His body has also not been found. Yesterday, the matter was brought before District Court Judge Alalatoa Rosella Viane Papalii. Senior Sergeant Kenneth Komiti is representing the Attorney General’s Office. Tua’s uncle, Sola Ati Nepa, was called. A written statement from him was read out in open Court. According to Sola, it was on Saturday 29 April 2017 when his nephew went missing. “He arrived on Friday 28th April, 2017 to Samoa and we saw him,” said Sola. “He went and did his booking at the Taumeasina and then he came back at around 5pm on that day. He left again to go to the gym and he came home around 11pm on that night, we were talking and then I went to bed." “On Saturday 29th April, 2017, my family woke up at 6am to get ready for mass and he was awake as well." “He told me he wanted to go to a tourist site and the only clothe he wore was a pink shorts because he wasn’t ready at the time." “He told me that he wanted to go to To Sua Trench because he had made a booking at the Taumeasina Island Resort to stay there. He was using my son’s car on that day so he left." That was the last time he saw him. “About 7pm in the evening, my daughter called me up because I was at a friend’s house saying that the Police of Afega are at our place." “I came to our house as soon as I can and when I arrived at home the Police had already left and that’s when my daughter told me that Kilino has gone missing." Sgt. 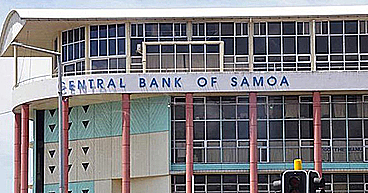 Komiti told the Inquest that Sola was the only witness he has because the Investigative Officer is not available. “Your Honor, the only other witness for this matter is the Investigative Officer,” he said. Judge Alalatoa adjourned the matter to 20 June, 2018.